If you’re still using analog video surveillance, the time has come to seriously consider switching to IP video surveillance. IP video outperforms analog video in every category, and in many cases offers stellar performance in categories that analog video doesn’t even have. From superior image quality, to practical installation solutions, to onboard intelligence, to total cost of ownership, IP video simply outdoes analog video in every regard. Learn more about why you should consider migrating to IP video surveillance in our blog. If you’re still using analog video surveillance, the time has come to seriously consider switching to IP video surveillance. If you have an analog video surveillance system, you’re probably familiar with the mediocre image quality of the video feed. Analog systems suffer from a number of problems such as ghosting, artifacts, distortion, and poor resolution. The end result is poor image quality, meaning subjects on the video are frequently unable to be identified. HD resolution. With HD resolution, you get superior frame rates, aspect ratios, color fidelity, and resolutions. Zooming capabilities are also significantly improved. Progressive scanning. This eliminates the problem of ghosting, common with analog video, where interlaced image sensors create a distorted image. With progressive scanning, you get every line of every frame. Thermal imaging, low-light sensitivity, and wide dynamic range technology. All of which improve image clarity significantly over analog video. Analog video is notorious for its complicated wiring and rigid infrastructure requirements. The camera itself requires separate power cables, video cables, and audio cables. In addition, all of these cables need to be installed in a specific infrastructure that is both inflexible and cumbersome. IP video on the other hand offers a much simplified installation and infrastructure solution. The camera only needs one cable for power, video and audio, and these cables don’t have to be wired all the way back to a home base. Instead, they can be wired to a midpoint base, from which a single cable can complete the transmission. IP video cameras are to smartphones as analog cameras are to home phones. Both kinds of phones allow you to make a call, but a smartphone lets you do so much more than just that. The same is true with IP video. 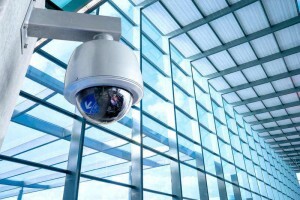 IP video surveillance cameras are smart. They can gather data that analog video cameras can only dream of, and what’s more, they can act on this data independently of a human operator. For example, an IP video camera can detect motion in its field of vision, and then send out an alert to security personnel alerting them. If this motion is detected in an area in which there should be no motion, the camera can be programmed to trigger an alarm. This is just one of the ways IP video intelligence and analytics offers superior security. Learn more in our blog on video analytics. IP video systems are built on open source platforms, which means they can easily be expanded, as well as adjust to and implement future technological improvements. Analog video systems are inflexible and unable to accommodate new technology. Because the IP system is already on a network, it can be remotely serviced in order to do things like software updates, routine maintenance, and problem diagnosis. This saves time and maintenance costs. In addition, the IP video provider stores data offsite on hosted servers, which eliminates the cost of storing it onsite, as is necessary with analog video. This entry was posted on Thursday, June 4th, 2015 at 1:40 pm. Both comments and pings are currently closed.